Ultima Thule: Was former KGB agent murdered over false-flag terrorism within Russia? Was former KGB agent murdered over false-flag terrorism within Russia? Look at these two photos -- one of a man in his prime, with a serious, thoughtful expression on his face -- the other of this same man in agonizing pain, struck down by the devil himself. This terrible incident bears witness to the truth of the old adage: He who sups with the devil should use a long spoon. The Raw Story | Was former KGB agent murdered over false-flag terrorism within Russia? Were a Russian journalist and an ex-KGB officer murdered over an investigation of the Beslan terrorist attack? 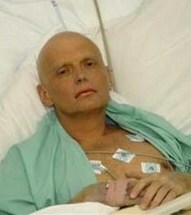 Former KGB officer Alexander Litvinenko, who passed away late last week from what many intelligence officials have indicated they believe to be a state-sponsored assassination, was likely the victim of the Russian Foreign Intelligence Service, Sluzhba Vneshney Razvedki (SVR), well-placed sources tell RAW STORY. Specifically, two former Cold War CIA officers, who still on occasion provide consulting work for the CIA, point to the S Directorate of SVR, which is in charge of black operations and other allegedly highly illegal transnational activities. They believe that the murders are closely tied to terrorist activities within Russia, and likely do involve Russian President Vladimir Putin. 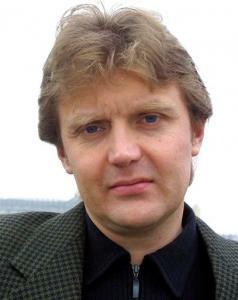 Litvinenko died of radiation poisoning from a rare and highly concentrated isotope, polonium-210. It is alleged that prior to the poisoning he had been in receipt of documents that were also in the possession of Russian journalist Anna Politkovskaya when she was found dead of multiple gunshot wounds in her Moscow apartment building in October of this year. "They put a contract out on her," said one former high-ranking CIA officer with expertise in the region, "and there was already a failed poisoning attempt." "They had her shot," that source explains, "in order to send a message to other Russian journalists to back off reporting on the Russian bombings." Although none of the sources interviewed for this article were able to say too much regarding what is an ongoing investigation into the two murders, several former intelligence sources pointed to alleged false-flag bombings that were carried out in Russia starting in 1999. A false-flag operation is one in which an attack is carried out by one government or entity and made to seem the work of another. In modern times, the term has become synonymous with Operation Gladio, a series of false-flag bombings inflicted on Italy by certain far right members of elements in the government and military, the aim of which was to frame opposition parties in order to discredit them, as well as to force that nation as a whole to move politically right of center. This method was known as the Strategy of Tension. The Russian bombings bear all the hallmarks of such operations, including the most well-known of these bombings, in which a car bomb was detonated in front of an apartment building in the city of Buynaksk that served as military housing for Russian soldiers, killing more than sixty residents. The attack was blamed on Chechen separatists and was used to justify attacks on suspected Chechen sympathizers and alleged co-conspirators, as well as on Chechnya itself. Other bombings soon followed, leading to then-Prime Minister Vladimir Putin declaring war on the separatist region, which had gained de facto independence following the breakup of the Soviet Union. But it was not until the failed Rayzan bombing attempt that the suspected role of the Russian government in the bombings began to be alleged publicly. In mid-1999, a group of agents of the Russian Federal Security Service, or Federalnaya Sluzhba Bezopasnosti (FSB), were found placing explosives at an apartment complex in the city of Rayzan. The FSB is the Russian equivalent of the FBI, and it and the SVR are the two arms of what used to be known as the KGB. The materials used in this incident were similar to those found at the other bombings committed throughout 1999, but th FSB denied any involvement in the previous terrorist attacks and described the Rayzan bombing plot as a domestic counter-terrorism exercise. The Russian Duma -- the lower house of the Federal Assembly -- attempted to investigate the bombings, but the Kremlin would not cooperate or provide requested documentation. At the time of the alleged attempt to poison Anna Politkovskaya, the reporter was en route to the city of Beslan, the site of an infamous elementary school hostage crisis of September 2004, a three day stand-off between alleged Chechen terrorists and Russian domestic security forces that left 344 people dead, more than half of them children. A source in one of the Western European intelligence organizations suggests that "Annas heart never left Beslan," and that up until the moment of her death the journalist was pursuing evidence that might prove "embarrassing to the Kremlin." RAW STORY has not been able to obtain additional confirmation of this particular allegation, or greater clarity on what the Kremlin might view as embarrassing with regard to Beslan. There have, however, been allegations of censorship of information and stalling by the Kremlin to avoid investigating the massacre, including outright claims of criminal incompetence. Whatever it was that Politkovskaya was working on eventually landed in the lap of Alex Litvinenko -- or at least was supposed to on the day he was poisoned. One of the CIA officers RAW STORY spoke with for this article suggested that whoever carried out the Litvinenko murder would have required the backing of a state sponsor, because only a government would have access to something as rare and difficult to obtain as polonium-210. The highly powerful and radioactive isotope has a half-life of fewer than 140 days. Another former CIA officer (who sometimes currently serves as a CIA consultant) alleged that whoever carried out the attack must actually have been doing it on behalf of Russian President Vladimir Putin and was either an agent of or working directly for the S Directorate of SVR. "They never thought anyone would identify the poison," said this source. "but the Brits were very good." Reports have Litvinenko meeting with several individuals on November 1 -- the day on which he became ill -- including a meeting that afternoon at a sushi bar with Mario Scaramella, his contact regarding the Politkovskaya murder. Some have indicated that they believe that a meeting at a London hotel with two Russian friends that same morning may have been where he was poisoned. There is also an allegation that the murder may have taken place when Litvinenko had tea at the apartment of a friend prior to proceeding to the sushi restaurant. According to the BBC, Oleg Gordievsky -- who is a former KGB colleague of Litvinenko, like him a defector to the UK, and the author of a book blaming FSB agents for the 1999 bombings -- pointed to a Russian friend with whom Litvinenko had a meeting earlier in the day. "He told the BBC he believed Mr. Litvinenko was poisoned when he drank a cup of tea at the flat of an old Russian friend -- before the lunchtime meeting at the sushi restaurant." However, one British intelligence officer, who wished to remain anonymous given that the investigation is still ongoing, suggested a different possibility. "You should start," says this source, "with the Italian." The Italian in question is Mario Scaramella, the contact whom Litvinenko met at the sushi bar to discuss the case of Anna Politkovskaya. "During the month of September 2004 I was approached by a Ukrainian national, whom I know by the name of Sasha, who wanted to sell me a briefcase containing radioactive material, and, more precisely, uranium for military use." There is enough testimony by Giovanni Guidi, a Rimini businessman, and by other defendants - Giorgio Gregoretti, Elmo Olivieri and Giuseppe Genghini - to fuel a spy story [preceding two words published in English] worthy of a novel by Le Carre. Involved is a briefcase containing five kilos of highly enriched uranium, half of which would be enough to build an atomic device, which remained for months in a Rimini garage. A briefcase, however, which eluded investigators, and which managed to get back into the hands of the Ukrainian national, who perhaps is still in Italy. Together with another briefcase having a similar content, and a third believed to conceal a tracking system. The entire kit geared to the assembly of a small tactical atomic bomb. A mystery story fuelled by information supplied the Rimini police department by a consultant of the Mitrokhin committee, Mario Scaramella, who, acting on behalf of the agency presided over by Paolo Guzzanti, was trying to track illegal funds from the former USSR that had transited through [the Republic of] San Marino. Scaramella is also said to have connections to the deputy chief of the FSB, Viktor Komogorov, who is alleged by Chechen sources to have been conducting an internal FSB investigation of Litvinenko..
One CIA officer also suggested an outsourcing to non-Russian agents, indicating that, "this would give Putin plausible denial," in the event the plot was uncovered,. "Perhaps," the source joked, "Gladio has not been dismantled, but simply privatized." It's happened before. It will happen again. The Kremlin has no moral restraints. The FSB knows no boundaries.